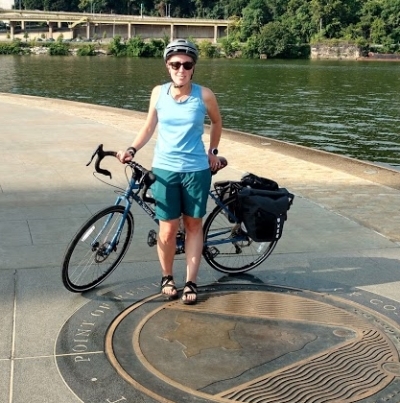 Noble Invention Bike Touring, formerly called Bike the GAP, is the result of years of self-guided bike trip planning on the Great Allegheny Passage and C&O Towpath under our former name, Bike the GAP. After seven years in business, our riders let us know about more great trails they wanted to ride. In our pursuit of excellent customer service, we made the decision to expand our horizons and invite our riders to tour new trails with us. 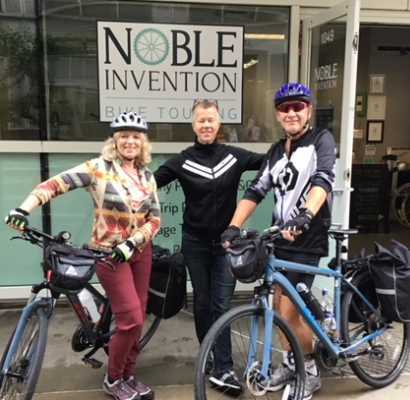 Noble Invention Bike Touring is a commitment to expanding our business to better serve the goals of our past – and future – riders and to serving a community of riders passionate about bike trail touring. Noble Invention was created to offer cyclists like you – independent, adventurous explorers – the opportunity to bike the best trails on your own terms, with the expertise to ensure you’ll see the most scenic parts of the trail, stay at the comfortable accommodations each night, and enjoy all the hidden, little-known treasures along the way. We choose trails with incredible scenery and authentic local character. Noble Invention Bike Touring focuses on the best trails in the U.S. and exceptional customer service. Our commitment to seamless planning by our skilled staff, and stringent research of all trails and services, sets us apart from the competition. With the growth in bike trail systems across the country over the past decade, there are now so many great places to ride. All of that growth along the trails has made a huge impact in these small communities. We are committed to helping continue their growth by taking 5% of all of our proceeds to support our social mission (read about our mission). In our always-on culture – the bicycle remains our most noble invention! The bicycle has been called a “noble invention” for its deceptively simple yet highly efficient design. It is powered by its own passenger – imparting health to its user. The bicycle has always been a tool of independence and freedom. Noble Invention Bike Touring aspires to the same – offering simple and yet efficient trip planning services to create a supremely satisfying bike tour experience. Because our tours are self-guided, just like the bike, YOU choose the pace and gain the rewards of a healthy, active vacation. 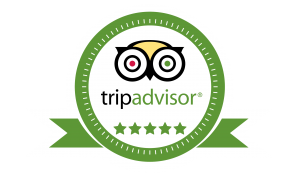 We provide the groundwork so that you can enjoy the freedom of travel without the hassle of planning. You’ll have the confidence of following the best itineraries to suit your interests and abilities. 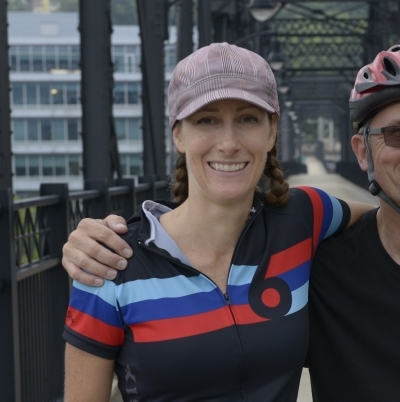 Since 2010, Noble Invention, formerly named Bike the GAP, has provided self-guided bike tours with the goal of providing exceptional customer service in our efforts to provide a memorable experience on the trail. Operated more than 550 bike tours. Offer tours on trails along the Great Allegheny Passage, Missouri’s Katy Trail and New York State’s Erie Canalway Trail. In 2018, we announced our 5% for Trail Economies initiative providing support to business development along trails. I have to say thank you for ALL the work you did for this trip of mine. It was so nice to have an itinerary and know everything was arranged. I simply had to get up and go. Fabulous. I talked to several people on the trail who were just doing day trips because they didn't know where to start. So I hope I got your name out there because I truly believe [you are] the way to go. We had a terrific adventure. Everything went as smooth as silk. Such a great trip, it now seems like we rushed through all that lovely country in just seven days. Also to your credit everyone we talked to had nothing but good things to say about you. 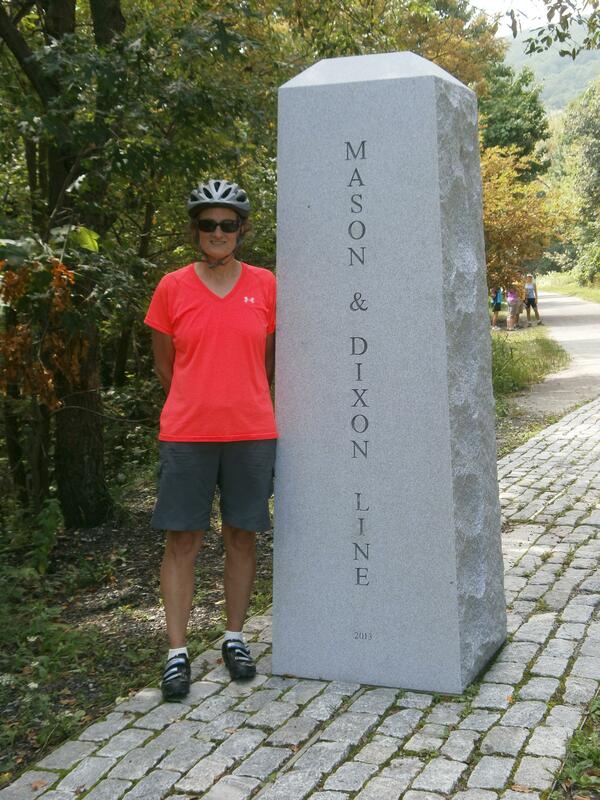 It is a great way to have a good ride sans cars and to see a number of historical and natural sites. I plan to get a good historical overview book when I return home. It was a real pleasure dealing with you and I wish you the best. I am a fan of yours and will sing your praises to anyone who will listen. Noble Invention Bike Touring (previously Bike the GAP) is the result of my love of cycling and my years as a tourism professional. I truly enjoy sharing my love of biking through travel. I started along the Great Allegheny Passage, which trail holds a spot in my heart (from my hometown of Pittsburgh, to the Civil War battlefield where I met my husband, to weekend camping spots with friends). As we grow to add new tours I have the opportunity to fall in love with even more trails. I hope these trails and communities soon will hold a place in your heart too. I am a lover of all things cycling and trail. My husband and I spend a good portion of most weekends on the local trails either riding or running. I’m particularly excited to work in a position where I can offer my cycling experience as a benefit to our customers. I became an avid trail and road cyclist six years ago. Cycling proved to be a transformative experience allowing me the opportunity to step away from the demands of a job in IT and experience freedom from the always "on" environment. In 2014, I moved back to my hometown of Pittsburgh, Pa., after living for many years in North Carolina. It was at that time that I discovered the many wonderful bike trails in and around Pittsburgh. My favorite trail is the GAP with its breathtaking views, bridges and tunnels. I am looking forward to helping you create your biking adventure!